← Take part in Clubs and Organisations Day! The closing date for this year’s Sports Awards nominations is 16 January, so if you know anyone who deserves an award, get in touch with the Town Council on 01608 642341. The Awards Ceremony will be held on 20 February. 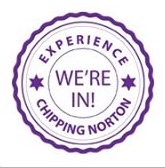 This entry was posted in local people, news and tagged Chipping Norton, Chipping Norton Town Council, nominations, Sports Awards. Bookmark the permalink. Thank you for mention! Yes please for your nominations to the Guildhall.Graham Beacham Sports Awards.